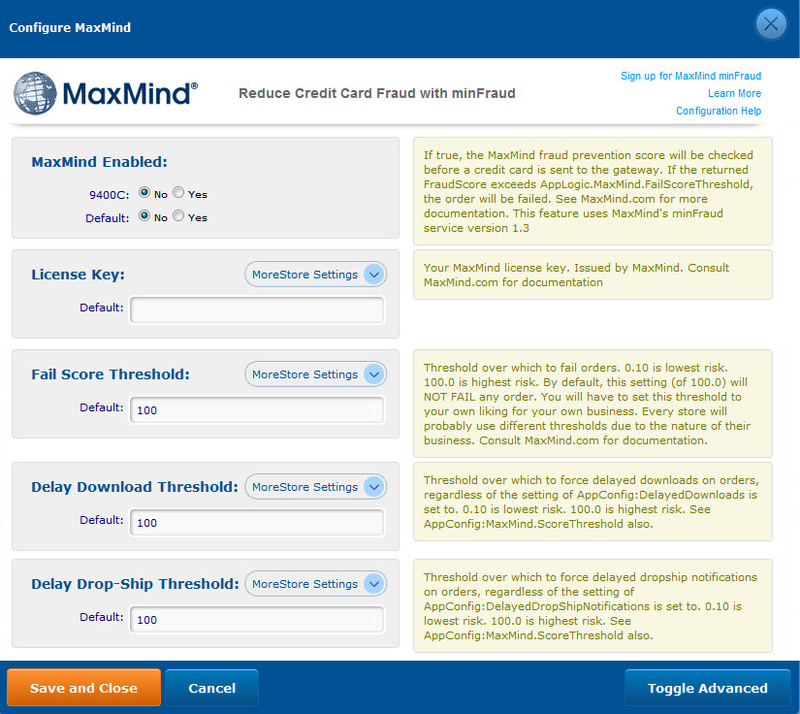 MaxMind's service works by assigning each transaction a fraud score, with 0.0 being very low risk and 100.0 being the highest risk. Store admins must set several 'threshold' AppConfigs (explained below) to determine how the software should handle orders based on that score. The default values for those AppConfigs are simply recommendations based on information from MaxMind, store admins should feel free to adjust the values based on their business model and fraud rates.